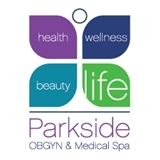 Parkside OBGYN & Medical Spa (Denver) - Book Appointment Online! We are a full-service gynecology office with a small medical spa. For a fuller description of our services. We look forward to serving all your gynecological needs and aesthetic needs. Please be advised that new patients upon appointment confirmation will be asked for a credit card to hold their appointment slot. Patients will be charged the standard fee if they do not show up for an appointment as scheduled. If you need to reschedule, you must give us 24 hour notice (and no fee will be charged). Thank you for your understanding. Super friendly and helpful staff! Dr Roland made me feel comfortable and demonstrated that she truly cares about her patients and their health. Definitely recommend! !